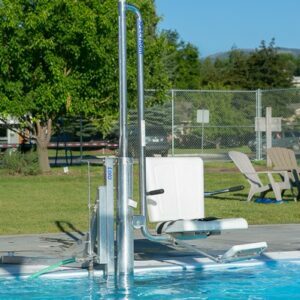 The Portable Motion Trek BP 300 Deluxe is an ADA compliant battery powered lift that is self-operable from the deck and the water with a robust operating system. 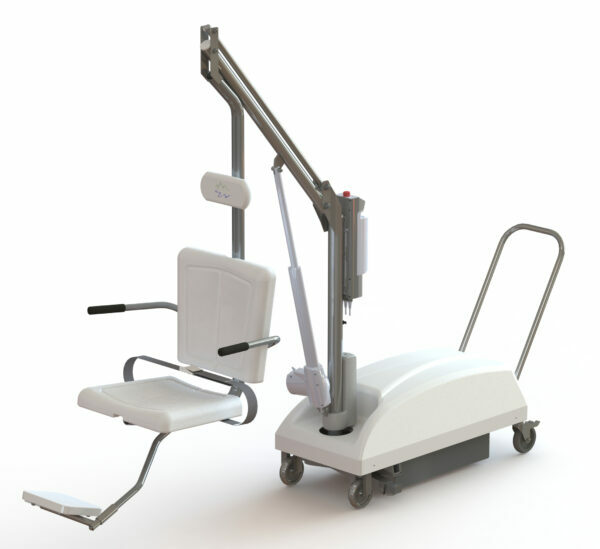 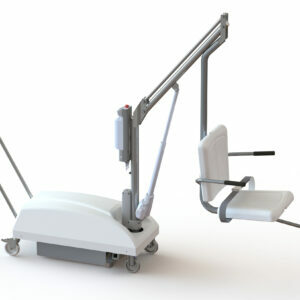 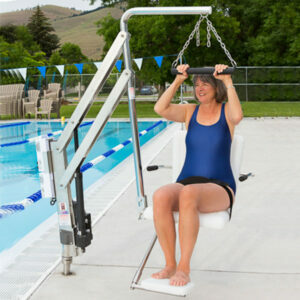 This portable lift requires no anchor and is moveable and easy to operate. 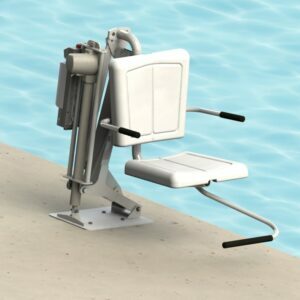 This model includes an upgraded footrest, headrest and arms.